I found this advert for the 'Bath Hotel' in 1834 and it mentions re-furbs, so it must be quite older than 1834. I should like to see the Bath Hotel in a watercolour, it does mention 'extensive gardens' and the baths seem adjacent to the hotel. Thanks Neils Yard, the photo helped me with the location. They Co-op staff used tell me about a 'river' underneath. It's most weird to see paintings such as Mr Bunney's and Brookes and then to try and imagine the scene transposed onto that newspaper cutting. I believe the building survived pretty much unchanged until 1952. I wonder where in the vicinity the 'baths' were? Adjacent I expected from those old adverts. Or looking back at some of your details, was the building in the photo built on the site. As far as I can tell it was just a pub built where the "Old Baths" had once been. Thanks Dutchman, that early map is really helpful. To the left of that long building that straddles the river, there is something I couldn't read. S---- Manufacturing, would it be a clue to the long building. That's 'Conduit Yard' Foxcote. 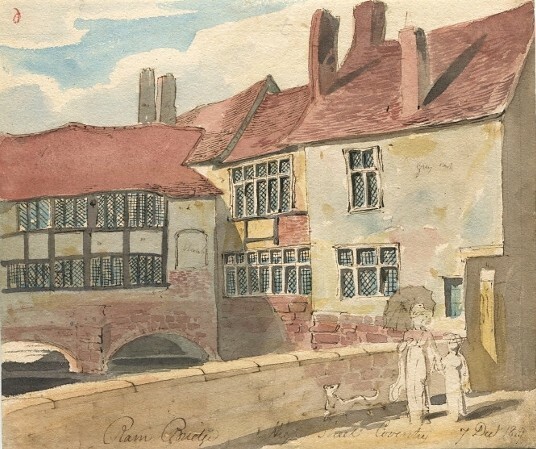 The buildings in it are either dyers or weavers. Conduit Yard seemed a big area on that map, I didn't recognise it, but I have the geography now. It said 'Shag Manufacturing' I reckon. 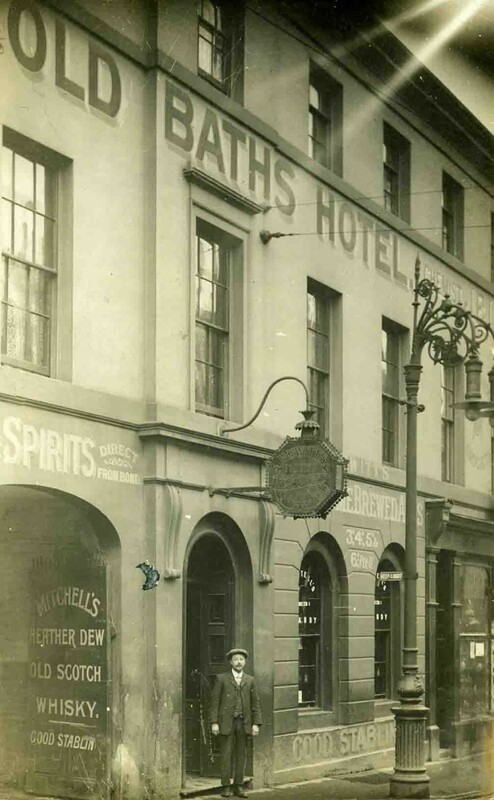 In 1900, according to Pigotts, it said 'Old Bath Vaults', 35 Smithford Street.